✔ 3 recovery modes to retrieve data from your iDevice, iTunes backup and iCloud backup. 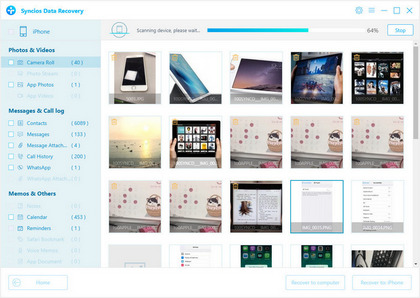 ✔ Recover photos, messages, contacts, as well as App data like WhatsApp conversations, iPhoto, Instagram etc. ✔ Preview what you've found before performing recovery. 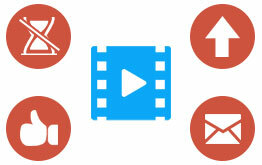 ✔ You can choose to extract found data to PC or put them back to device. Data Loss: Accidentally deleted or lost something important. 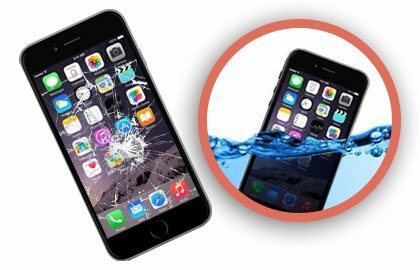 Water Damage: iOS Data Recovery make sure your data doesn't drown. Restore Factory Settings: Find previous data after resetting iPhone. Recover data from iTunes Backup: Find iTunes backup on your computer by itself and scan the backup for your lost data. 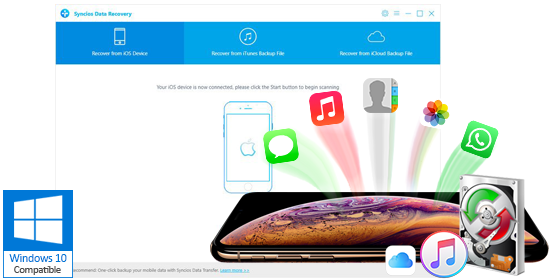 Recover data from iCloud Backup: iCloud backs up your iOS device over Wi-Fi at any time, including contacts, calendars, bookmarks, mail messages, notes, shared photo streams, My Photo Stream, and documents, etc. 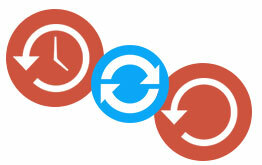 Preview what you've lost before recovery and extract them to your device and PC. A powerful iOS data recovery software that helps you retrieve lost data from your iDevices, iTunes backup, or iCloud backup. Lifetime long usage and free upgrades as well as customer service and technical support via email. Support latest iPhone XS, iPhone XR and iOS 12.